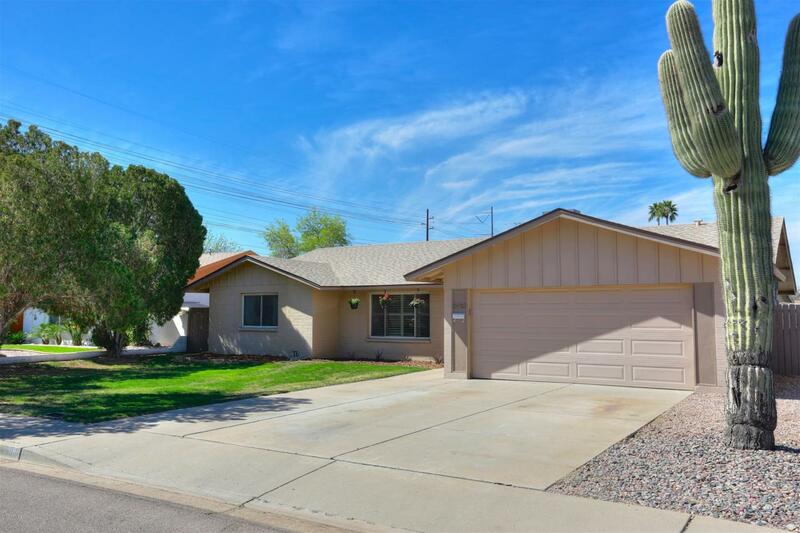 Light and bright home in fantastic Tempe location! 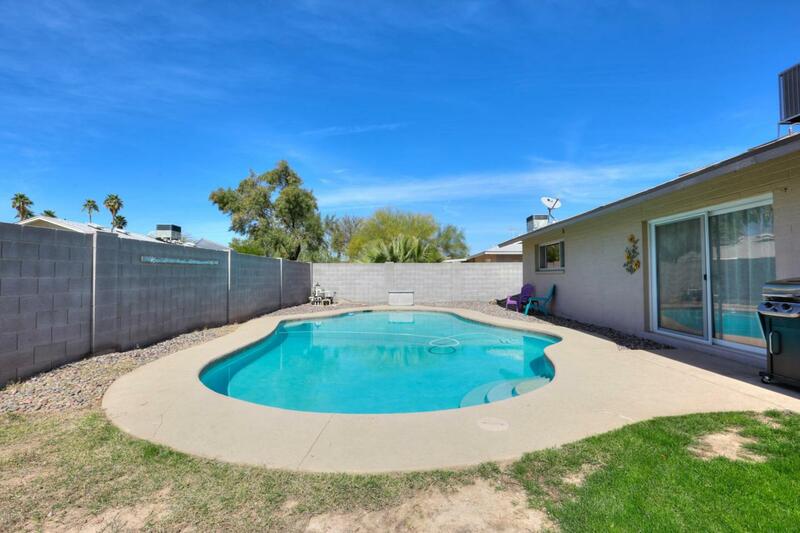 This well updated 4 bedroom home features a sparkling blue pool, 2 car garage, living room, spacious family room, and split bedrooms. 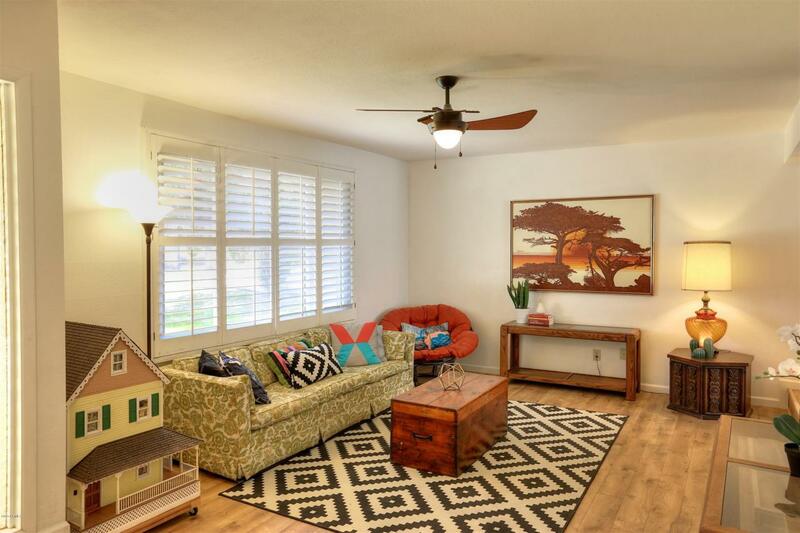 The home has warm laminate wood flooring throughout with no carpet! The kitchen has recently been updated with white shaker style cabinets and the breakfast bar is accented with wood countertops. Other features include RV gate, large laundry/storage room, no HOA, and easy access to the canal for running, biking, and walking. 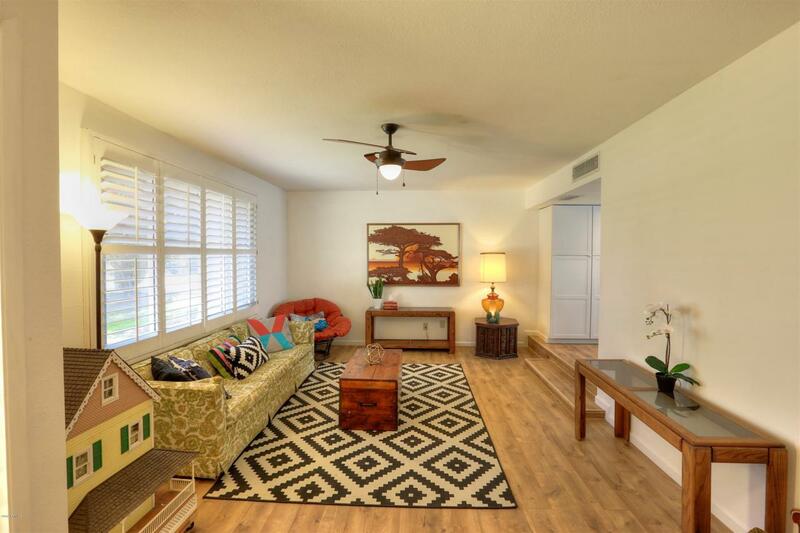 The location is also perfect for easy access to freeways and is near ASU, shopping and dining. This home is move in ready and priced to sell! Come see this home today!